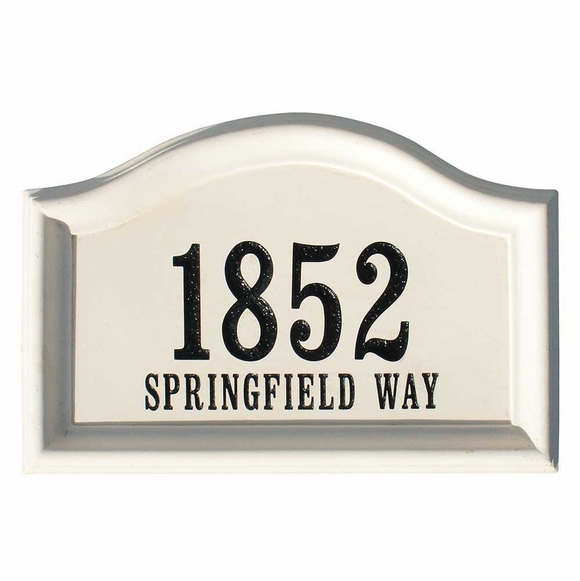 2 Line Concrete Address Block - - personalized arch sign ready for installation into a brick, stone, or concrete wall. Line 2 holds up to fifteen (15) smaller characters, typically the street name. Dimensions: 187.5"W x 12.5"H x 2.5"D; weighs 28 pounds.